A Special Invitation to all of my This Way Up Readers . . . Escape! 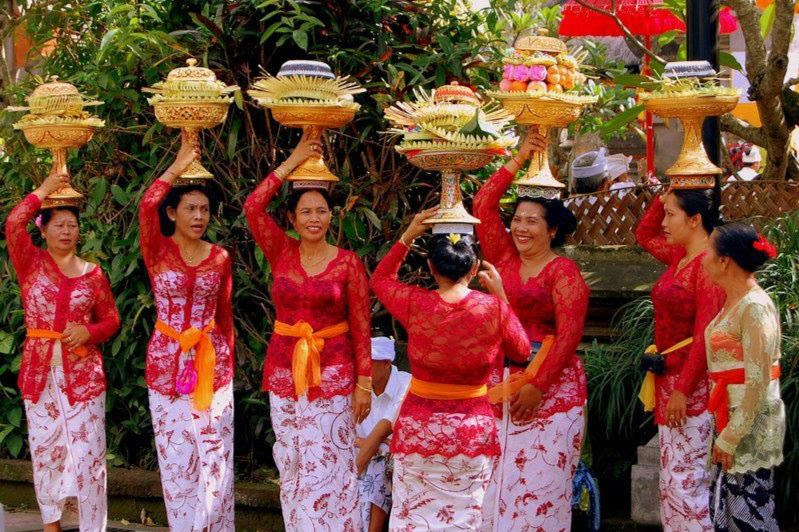 Join a small group of women in beautiful rejuvenating Bali……. The team at Rejuvenate Spa Retreats are excited to be going back to Bali! 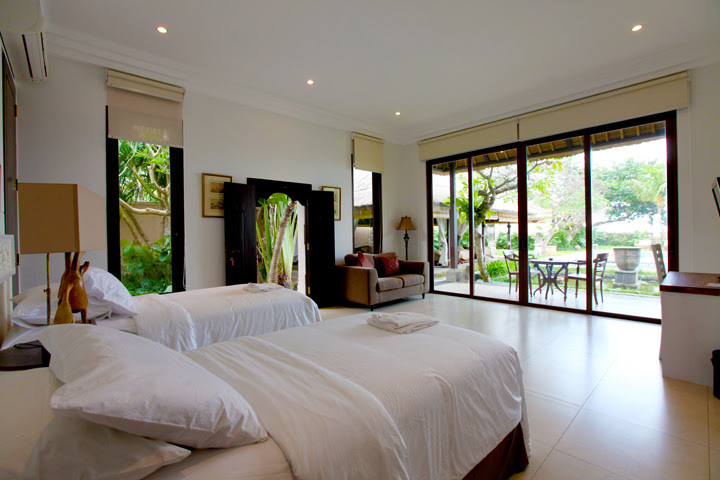 This time we have 9 glorious nights at Villa Pantai Karang, Sanur, Bali. The villa is right on the beach and we’ll have the whole gorgeous place to ourselves. Patti Clark is an award winning, international best-selling author, accomplished speaker and workshop leader. Patti’s book This Way Up was the Winner of International Excellence Self-Help Book of the Year. Patti’s work has been featured in several publications including The Wall Street Journal, The Boston Globe, The Mindful Word and is a frequent contributor to Arianna Huffington’s Thrive Global. 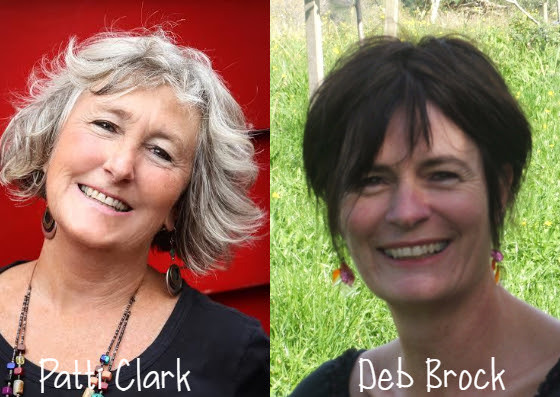 Deb Brock is an established artist who lives on the spectacular Thames Coast, New Zealand. She works from her art studio at home, when not travelling to deliver workshops and retreats. She has a background in hospitality and is an experienced event planner, creativity tutor and workshop leader. This is a retreat with a difference. It’s all about finding your bliss your way. Lying by the pool …waiting for your massage … not a mung bean in sight! And then there’s the Fuel for Inspiration Workshop! “I thought you were both incredibly supportive and flexible. You looked after the group very well, which was very much appreciated. If I was recommending to a friend on her own, I would feel confident that a single person knowing no one, would be well cared for and supported.” – Sheryl A. 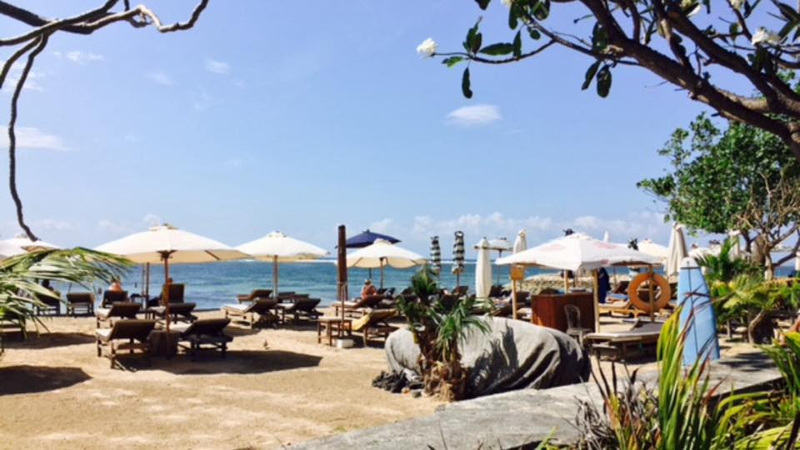 Other Cool Things You Can Do in Bali…. We’ve factored in plenty of free time. 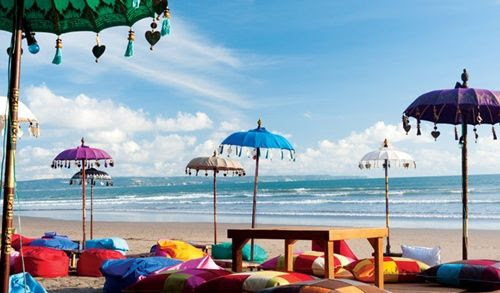 You can grab a buddy and head to the beach or, if you are so inclined, Bali offers an abundance of wonderful experiences: cooking classes, shopping at local markets, and adventure tourism. Relaxing by the pool with a good book is also a great option. 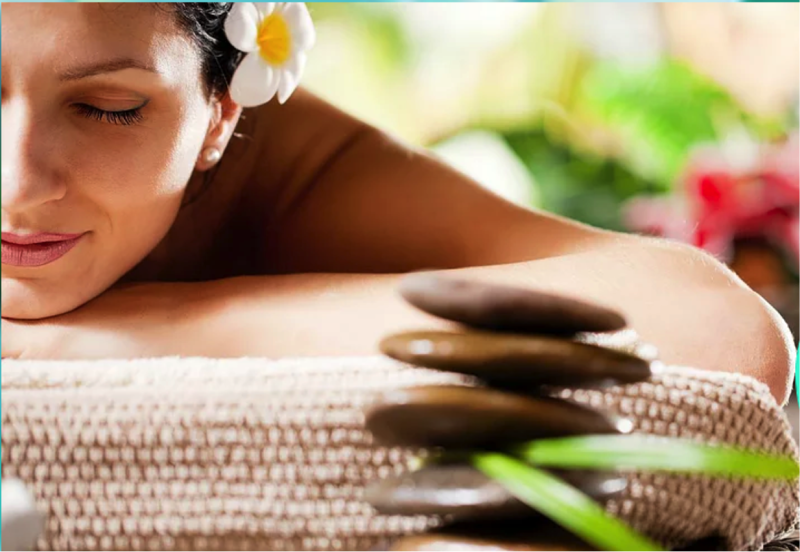 Bali is renowned for its enchanting mixture of healing spa treatments, refined artistic culture and unique spiritual heritage. Or perhaps kite surfing at the beach? You know you want to … contact us now to secure your place! Copyright © 2015 REJUVENATE Spa Retreats, All rights reserved. For those of you who missed my January Newsletter and want to have a read . . . Thinking about what it means to follow your heart . . . I don’t know about you, but my email was bombarded with suggestions about how to gain clarity this year and what to do to “unclutter” and find peace. 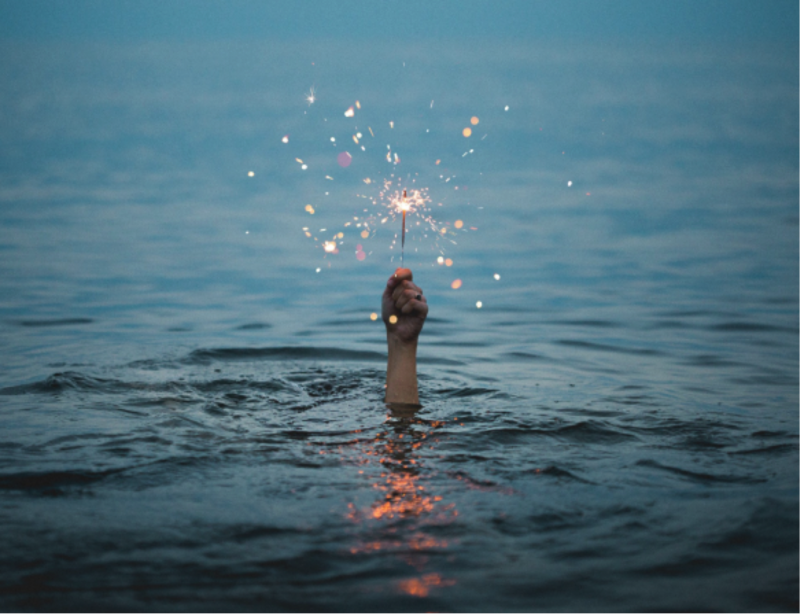 So as I thought about this newsletter to start the year, what became clear for me was that I did not want to write about how to unclutter or which new app I could buy to find peace, but instead I wanted to hone in on my purpose for this year. That sounds grandiose and overwhelming as I write it, but with so much “stuff” out there, so much information and so many paths that I could take, I need to narrow my focus and check in with what really resonates for me. How do we even start? 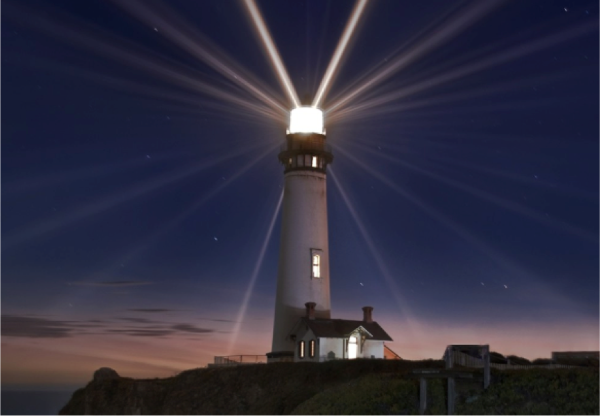 Is there a signpost or light to follow? Here is one interesting take on Purpose and how to find it. If you want to read more about these suggestions and how to implement them, you can read more about it in my recent article on Thrive Global – Choosing to be the mountain, not the grain of sand. And if you want to watch a powerful interview between Oprah and Eckhart Tolle about purpose, check out my recent Blog Post. If you are interested in learning more about these online workshops or signing up for the April series, you can sign up here! The Bali Retreat is On! Exciting news: we are now planning our Bali Retreat for July 2019! This year we are staying in an incredible luxury boutique villa right on the beach in beautiful Sanur. We’ll be there for nine glorious nights, arriving on Thursday 4th July and leaving on Saturday 13th July. As spaces are limited, I wanted you to be the first to know in case you’re feeling the pull to join us. You can check out the venue online. To learn more, check out the Rejuvenate Spa Retreat Page. If you have a question or want to register interest, contact me. Spaces are limited. I’m thrilled to let you know that I will be appearing as a guest speaker on Jamie Greenberg’s online symposium, “Capitalize On Your Creativity,” set to launch on Monday, February 4. For more information and to sign up for this symposium, visit Jamie’s page. Devorah knows the world is transformed by the power of our stories. Devorah and I believe that now more than ever, we need to hear and share stories of healing and transformation. Devorah has been a storyteller for over 40 years, and as an intuitive coach for women, she is passionate about transforming ourselves and our world through the power of our stories. 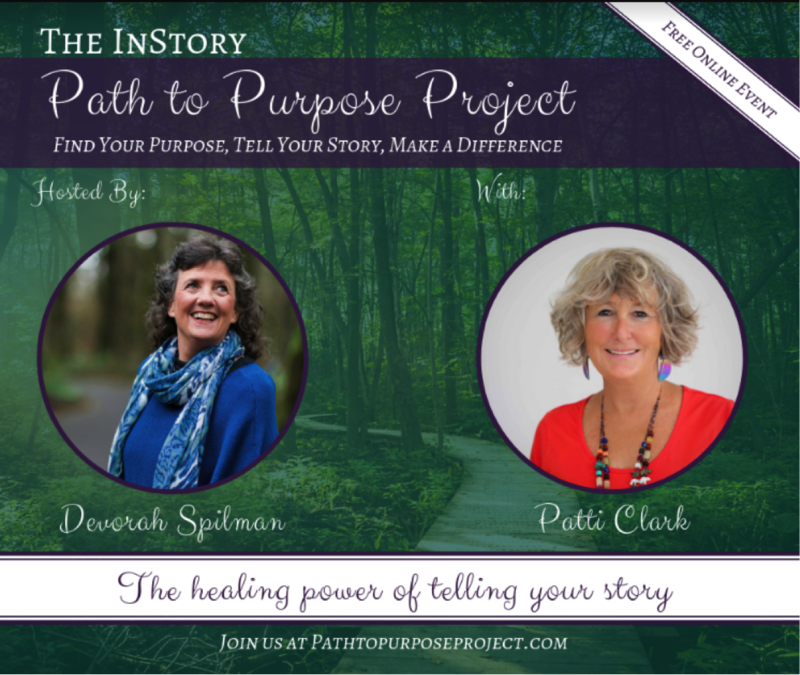 This will be a high value interview training series where women walk away with clarity on their story and purpose as well the vital inner and outer skills to transform their lives and make a difference in the world. Check out Devorah’s page for more information and to sign up for this powerful series. This Way Up provides a step-by-step way out of a sense of loss and into a life filled with enthusiasm, creativity, and joy. Thank you for being part of this movement. I hope that 2019 is unfolding purposefully for you. This post was from 2017 – but it was so relevant that I decided to repost it . . .
Self-Love. Why do so many of us find that concept so difficult? One of the most common things that I hear from women in workshops is that they think the worst of themselves and usually have difficulty prioritizing themselves. Interesting that this article was from the August 2008 O Magazine. The comparison to the Donald Trumps of the world is more apt than ever! (Although I would like to point out that there is a huge distinction between narcissism and self-love!) And in these dark and difficult times, when there is a constant reminder of how much is at stake, fear is rampant. So self-love is more important than ever. We need love to conquer the fear that many of us are feeling in response to the political insanity that has gripped the world at the moment. So if we want to stay in a place of love instead of a place of fear, we have to learn to love ourselves first. We cannot pour from an empty cup, we must be filled up. And one way to fill your cup is to prioritize yourself, pamper yourself! Bali! You can read all about it here. 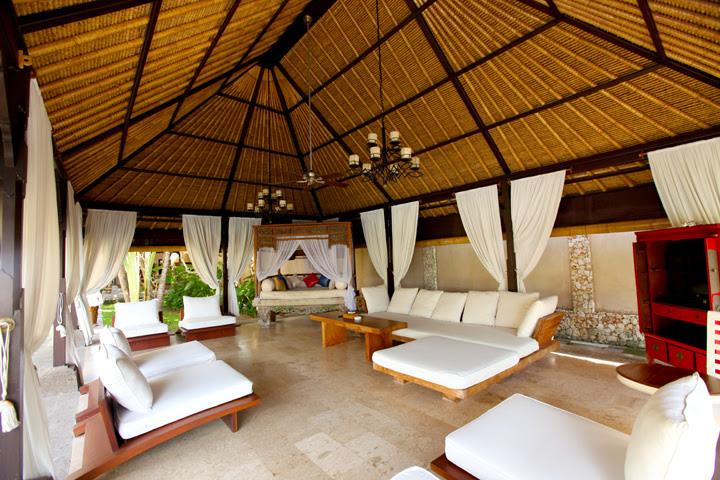 This is the Third annual Bali Retreat my business partner Deb and I have run. It is a phenomenal way to refresh and rejuvenate yourself. And a wonderful way to show yourself the self-love your deserve! I’ll close with a short sweet video of Oprah Winfrey as she talks about self-love and taking care of yourself. I’d love to hear how you take care of yourself and practice self-love. And as always, thank you for taking the time to visit. I appreciate it. And please let me know if you want more information about our retreat to Bali in July! So if you have the time and the inclination, may I suggest a lovely retreat to Bali! Rejuvenate Spa Retreats is offering a stunning 8 day retreat in Bali! You can read all about it here. This is the second annual Bali Retreat my business partner Deb and I have run. It is a phenomenal way to refresh and rejuvenate yourself. And a wonderful way to show yourself the self-love your deserve! I’d love to hear how you take care of yourself and practice self-love. And as always, thank you for taking the time to visit. I appreciate it. So what is stopping you? As women we usually take care of everyone else first. Especially over the holidays, everyone else’s needs came first. Self-care and self-love are often difficult concepts for women. So how would that look? . . . to love yourself first. Well here’s an idea . . .
How about an exciting and inspirational retreat! 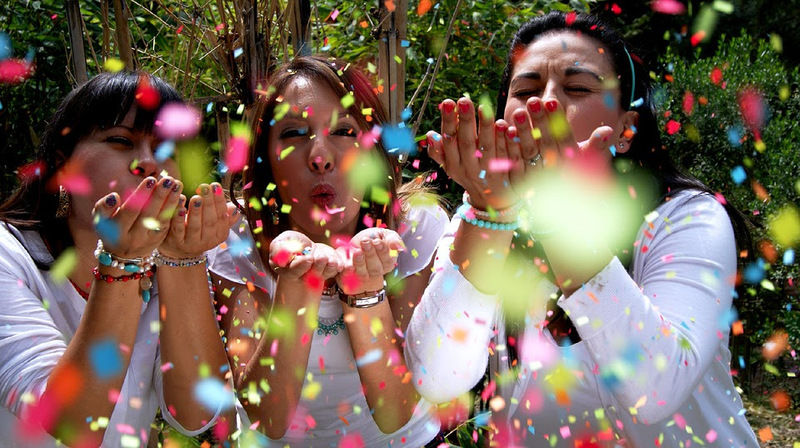 In my last blog entry, I wrote about my intentions for 2015. One of the most exciting goals/intentions I have is related to my work with Figjam Workshops. We are planning a Fuel for Inspiration Retreat in Bali! I thought I would share a bit about the retreat with all of you. Who knows, maybe one of you reading this blog post might be interested in a Relaxing, Rejuvenating Retreat with a Creative Twist! What a great way to practice some self-care and show yourself some love! Imagine yourself escaping winter, lounging in the sun in tropical paradise with a small group of women, sipping a cocktail by the pool. This is a retreat with a difference. You won’t find a mung bean for miles – instead, you’ll find creativity, rejuvenating fun, connection to self and fabulous food. We’ll indulge at the boutique Sama’s Cottages in the heart of Ubud, the cultural centre of Bali. We’ve reserved the whole gorgeous space – including a swimming pool, gardens and a private cottage with ensuite for each participant – for ultimate privacy and relaxation. 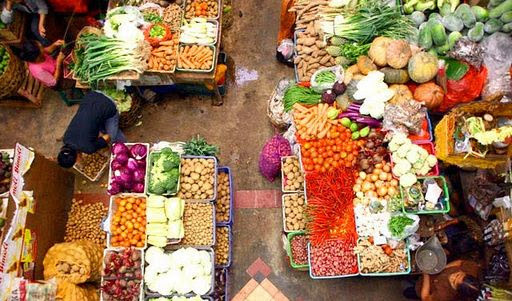 It’s easy walking distance to Ubud’s vibrant markets yet blissfully peaceful. 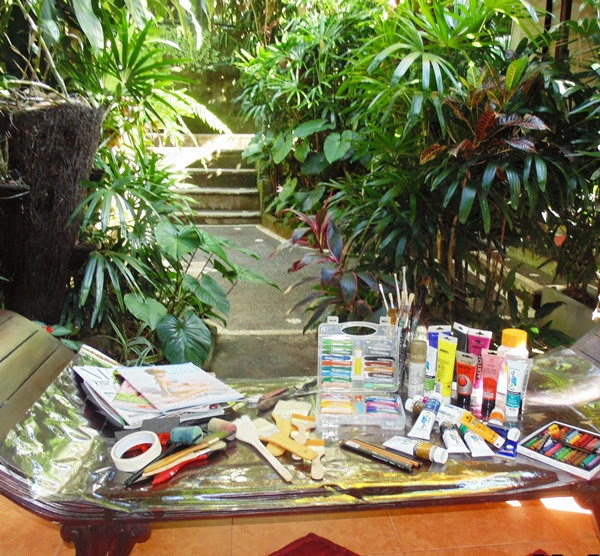 Our leisurely schedule blends hands-on creative sessions with time to relax and unwind. Contact us by email or phone Deb at 021 258 0078 or Patti at 027 777 4735. We are thrilled to be able to offer this amazing package for NZD $2799 to $2999. Contact us for specifics. Space is limited to only 10 women. Reserve your rejuvenating getaway today. Home again. So happy to be home. Feeling grateful for my home and my life. Whatever Can Go Right, Will Go Right, and at the Perfect Time. My sister Karin and I coined this Law (thus Clark’s Law!) on the way to the airport as she and my niece Chelsea were leaving Borneo. We had just had an amazing 3 days, where everything that could go right, did. We saw majestic orangutans (after being told we probably wouldn’t see them as it was durian season and they would be out in the jungle and not interested in coming to feed at The Semenggoh Wildlife Centre.) We hiked and saw beautiful caves and waterfalls, and had a fabulous day at Bako seeing troups of proboscus monkeys, even though it was rainy season and many people told us we would probably get rained out from most of these adventures. But everything just kept going right! This was after ten magically wonderful days in Bali! Ten Days of feeling the spirit and peace that is Bali. Staying at lovely hotels, swimming in luxurious pools, eating delicious food and meeting wonderful people. Having fun with my sister, and my niece and my son – laughing, exploring, playing cards, enjoying our time together. Not to mention our magnificent massage and facials at De Nyuh Spa. Bliss! On the way to the airport, Karin and I marvelled at our good fortune, feeling incredibly blessed and grateful. And we both commented that 2013 felt like it was already tremendously positive and powerful. We had set clear intentions of what we wanted from our trip together and everything aligned into place perfectly. 2013 feels like it is going to be an amazing year! Please let me know about your intentions for 2013. And as always, thank you for stopping by, I appreciate it.